The 1849 Plough Cup (for Thoroughbred Horses) at Mill Park. 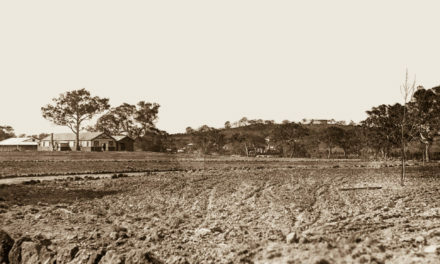 In the mid 1800’s the Bundoora/Mont Park area was synonymous with thoroughbred horses and horse racing. Back then of course, horses were vitally important to our way of life in that they provided both transport and recreational activities for many local residents. 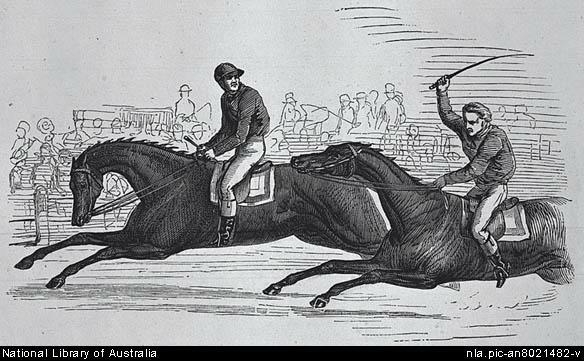 The first race meeting in the City of Whittlesea appears to have been ‘The Plenty Races’, which took place on 26 December 1845 on ‘Mr. Payne’s Station’, somewhere near the Bridge Inn at Mernda. The next recorded races were the ‘River Plenty Races’ on 26 December 1848 at ‘Mill Park, near the Plough Inn, River Plenty’. Conditions were basic, racecourses usually being little more than cleared paddocks, with accidents common, especially during jumping events. It was around this time (about a decade after European settlement and about a decade prior to the running of the first ever Melbourne Cup) that the local area here saw the running of the 1849 Plough Cup at the Janefield Racecourse. “The crowd present for the 1849 Plough Cup was described as being well-behaved, with no drunkenness in evidence. The only incident for the day occurred when a crowd of people climbed onto the roof of a shed to get a better view of the racing. The roof collapsed under the weight and fell onto a group of people playing skittles inside the shed. Kenna, Les In The Beginning There Was Only The Land. Lions Club of Bundoora, Melbourne. 1988. PreviousDan Astley Gresswell (1853 – 1904). NextThe naming of ‘Mount Sugarloaf/Sugarloaf Hill/Gresswell Hill’ – The search for the facts. 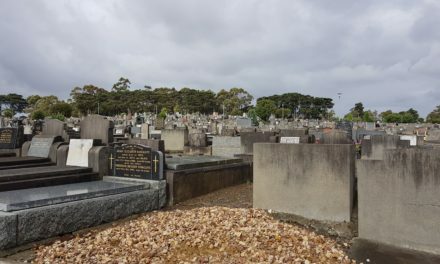 Are there unmarked graves in and around the former Mont Park area? The naming of ‘Mount Sugarloaf/Sugarloaf Hill/Gresswell Hill’ – The search for the facts. ‘Fisticuffs’ at the Ernest Jones Recreational Hall.